To qualify for tax incentives under WLTP rules, Mitsubishi increased the size of the Outlander plug-in hybrid’s battery to 13.8 kWh from 12 kWh. The future of plug-in hybrids in Europe is in doubt after the double blow of a harsh emissions reclassification and the removal of purchase subsidies in the UK, the region’s biggest market for such cars. Plug-in hybrids have always been a gamble for automakers because of the cost of fitting into a vehicle both a conventional engine and a battery pack big enough to provide satisfactory electric-only mileage. However, subsidies in many countries had bridged the cost gap separating plug-in hybrids and conventional models, and demand had been growing. 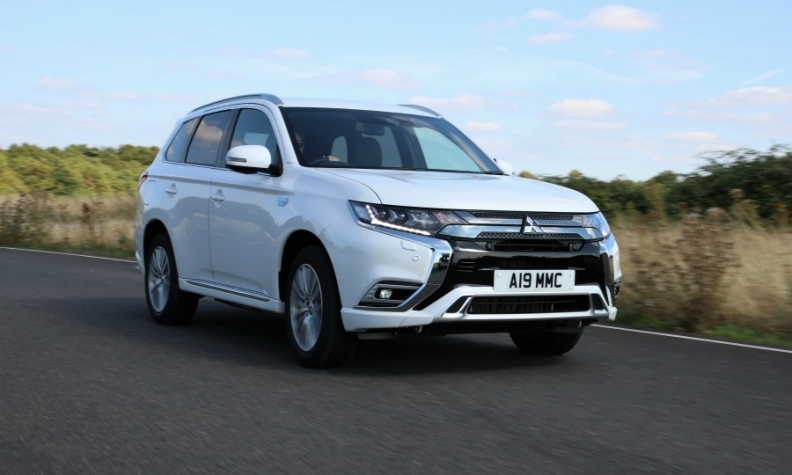 European sales of plug-in hybrids, led by the Mitsubishi Outlander midsize crossover, soared 46 percent to 94,999 in the first half of the year, according to figures from industry association ACEA. But then came the back-to-back blows. In September, automakers had to have retested all their cars to conform to new emissions regulations known as the Worldwide harmonized Light vehicle Test Procedure. WLTP is much tougher on plug-in hybrids than the previous emissions protocol. As a consequence, many plug-in hybrids are now rated as emitting more carbon dioxide than under the old standard, known as the New European Driving Cycle or NEDC. This was devastating because suddenly it pushed many plug-in hybrids above 50 grams of CO2 per kilometer, which is the threshold needed to qualify for a raft of tax incentives. In Germany, for example, buyers would have lost access to a purchase grant of 3,000 euros. The automakers are right to be worried, said Felipe Munoz, a global analyst for market researcher JATO Dynamics. It’s too soon to gauge the fallout from the change to WLTP and the UK’s withdrawal of incentives, but Munoz expects sales to plummet. “These cars are still strongly dependent on incentives, so any change in the support has a big impact,” he said. Analyst firm LMC Automotive believes European sales will be down by 50,000 from September this year and into 2019. 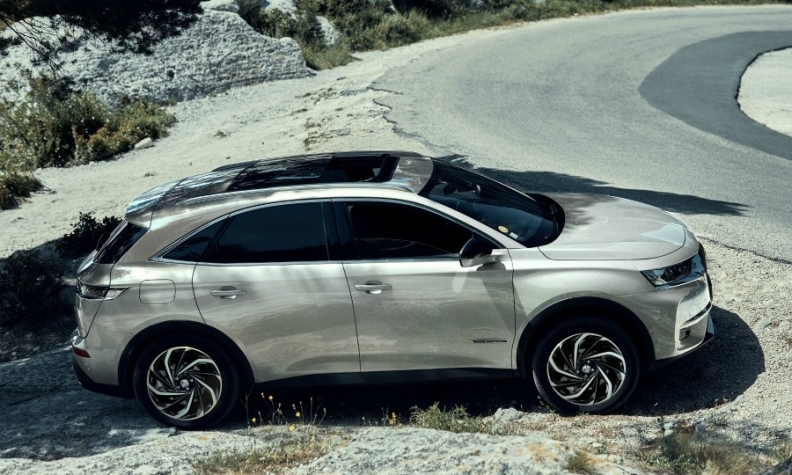 Starting next year PSA’s European lineup will include plug-in hybrid versions of the DS7 Crossback (shown), Citroen C5 Aircross and Opel Grandland X. History has shown that removing incentives hits sales. The Netherlands was Europe’s sales leader for plug-in hybrids in 2015, thanks to government tax cuts for company-car drivers. But a year later, those tax cuts were scaled back significantly, and 2016 sales were halved to below 20,000. Half-year sales for 2018 were down to just 1,106 plug-in hybrids, according to ACEA. The Dutch government discovered a big problem with incentives for plug-in hybrids: Make their cost too attractive, and drivers just won’t bother plugging in the cars -- and CO2 actually increases. The Dutch discovered this by analyzing data from the fuel cards that many drivers of company cars use when filling up. The Dutch experience turned UK authorities against the technology, says one senior industry figure involved in discussions between automakers and the government. “We have known for some time that some ministers were heavily influenced by the Netherlands report on plug-in hybrids,” the source told Automotive News Europe on the condition of anonymity. 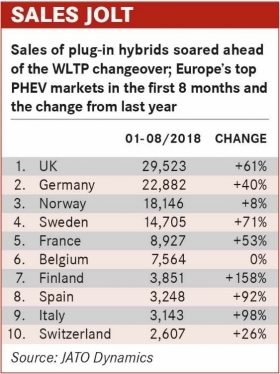 Sales of plug-in hybrids soared ahead of the WLTP changeover; Europe’s top PHEV markets in the first 8 months and the change from last year. Even if consumers decided that the remaining incentives make plug-in hybrids worth spending extra, they can’t actually buy many of the popular models. Rather than make their cars WLTP compliant and accept the higher CO2 levels, many manufacturers decided to pull the cars from the market. Volkswagen, for example, dropped the Golf GTE and Passat GTE and will not replace them until July next year. BMW, Mercedes-Benz and Porsche also froze sales or canceled models. This story is from Automotive News Europe’s latest monthly magazine. To view the new issue, as well as past issues, click here. Despite the challenges, automakers are persisting with plug-in hybrids. For many, they have no choice -- they need them to reach Europe’s fleet CO2 target of 95g/km by 2021. Plug-in hybrids and full-electric cars not only help them reduce average emissions but thanks to the supercredit system the sale of any car emitting less than 50g/km of CO2 will count as two vehicles in 2020, 1.67 vehicles in 2021, 1.33 in 2022 and one by 2023. To cut CO2 emissions to less than 50g/km automakers have to extend the electric-only range by increasing the size of the battery in their plug-in hybrids. The first automaker to do this was Mitsubishi, which had its Outlander rated below the critical threshold under WLTP rules after enlarging the car’s battery to 13.8 kilowatt hours from 12 kWh. In response to the move to WLTP, many automakers are overhauling their ranges or planning new models. Skoda, for example, will launch its first plug-in hybrid next year with a version of the midsize Superb and is set to produce a performance RS model of its new Scala compact hatchback, likely with the same drivetrain. “Without electrification, we would never be able to meet targets set by legislation,” said Bjorn Kroll, head of product marketing and Skoda’s commercial leader on electric cars. Next year, PSA Group will begin its electrification campaign, which calls for eight plug-in hybrids and seven full-electric models by 2021. Starting next year that will include plug-in hybrid versions of the DS7 Crossback, Citroen C5 Aircross and Opel Grandland X SUVs. PSA’s strategy is to restrict pure EVs to smaller models and build plug-in hybrid versions of larger cars, which are often used to drive longer distances and can’t be replaced easily by full-electric cars without fitting them with large, expensive batteries to overcome range shortcomings. “A fundamental selling point of a plug-in hybrid is liberty,” said Olivier Salvat, PSA’s plug-in hybrid program director. Tougher emissions legislation beyond 2021 will force manufacturers to expand their range of plug-in hybrids, but they believe the market will respond. PSA estimates the European demand for the technology will grow to 1.9 million cars by 2025. LMC Automotive, however, has reduced its forecast based on the latest information, predicting plug-in hybrids will account for 1.2 million sales in Europe in 2025, down 200,000 on its forecast from earlier this year. That would equate to 5.8 percent of the market, compared with 11 percent for EVs at a predicted 2.3 million. Ultimately the success of plug-in hybrids will remain dependent on governments. The bigger battery pack will make them more expensive, while full-electric cars become ever cheaper and usable. “The window of opportunity for PHEVs may be smaller than originally thought,” LMC wrote.